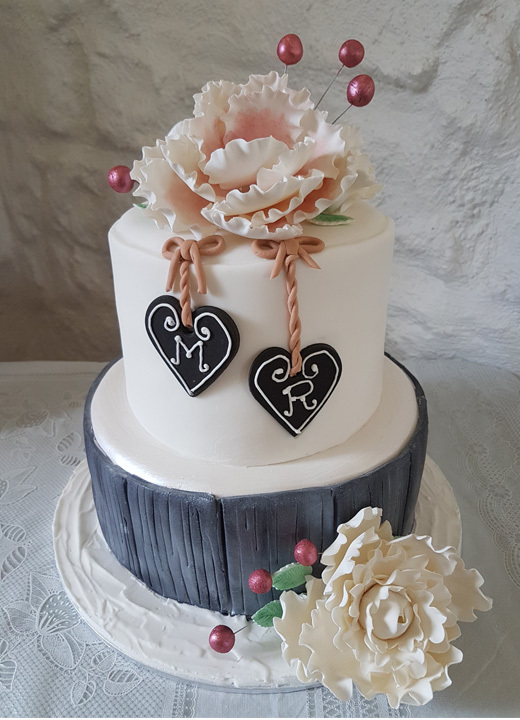 Montease Creative Cakes has more than 20 years of experience designing wedding cakes using traditional and modern techniques. 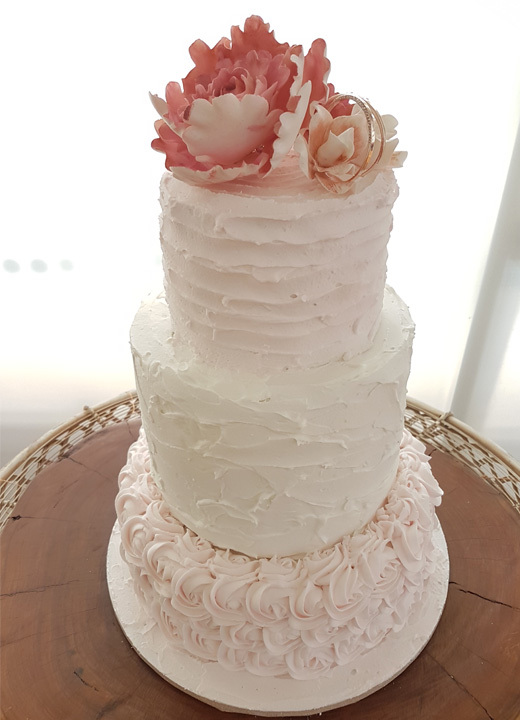 From sweet sugar flowers to moulded decorations and even the latest edible lace, each wedding cake Montease Creative Cakes designs is always unique. 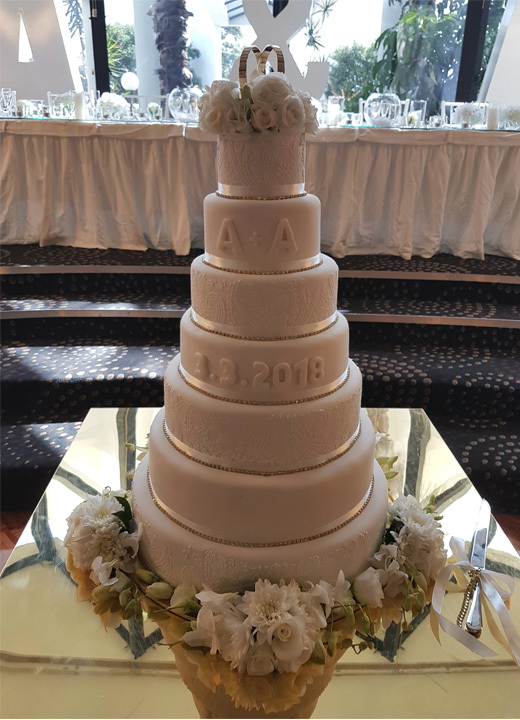 Baked just a few days prior to the wedding, cakes can be customised with your favourite fresh ingredients – just choose your flavour, or even your own recipe. If you can’t decide, the heavenly Montease mud cake has been created in the studio and will not be found elsewhere. Make an appointment to discuss the theme, colours and style of your wedding, and create your dream cake with Montease Creative Cakes.